trap it inside and prevent cold draughts in winter. Underfloor insulation will increase the ambient temperature of the house by preventing air draughts between floor boards. By creating an insulating air pocket under the floor boards, helping to trap heat in the house… and keep the cold out. The floorboards will feel closer to room temperature AND stop air draughts – a double bonus. Typically, the overnight ambient winter temperature in a home will increase by about 3.5 degrees Celsius. With underfloor insulation, warm air inside is not cooled down by a cold floor, and air leaks between floorboards are blocked. Don’t rely on carpets to keep you warm. Underfloor insulation batts form a protective barrier against the outside elements, just like having the equivalent of 11 carpets and underlay under your floor. Underfloor insulation batts form a protective barrier against the outside elements, just like having the equivalent of 11 carpets and underlay under your floor. 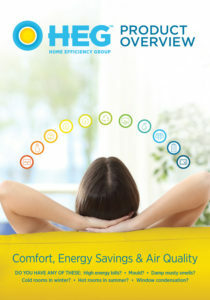 Give Home Efficiency Group a call on 1300 96 80 60 for a free quotation. Prices vary according to how difficult it is to access the underfloor area, how much “crawl space” there is, the location of the job site and how large the area is to insulate. If you require supply-only, please let us know and we will provide a competitive quote which can include delivery.